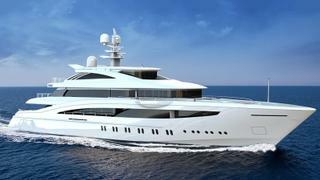 Italian yard Rossinavi has taken an order for a 52 metre yacht called Project Florentia, which will be built from a steel hull and aluminium superstructure. Hull number FR039, this new-build yacht will be launched in 2020 sporting exterior design by Giorgio & Stefano Vafiadis, while Carlo Colombo and the A++ Design studio will create the interior styling. Details of Project Florentia are few and far between at this stage, however the yard revealed that the superyacht staircase will be a key part of the interior design, bringing together warm colours, leather and light wood. What’s more, the owner’s suite will include a mirrored ring in the centre of the room to reflect light in all directions. Accommodation is for up to 12 guests spread out across a spacious 700GT interior, while the crew quarters allows for a staff of up to 13 people. The engine installation is undisclosed, but the hull has been designed around a cruising speed of 13.5 knots. Rossi adds that Project Florentia is part of a new wave of yachts over 50 metres and 500GT from Rossinavi - the first since the 70 metre flagship yacht High Power III (ex-Numptia) hit the water back in 2011. 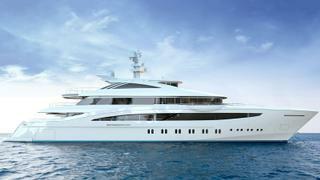 Other examples include the 70 metre King Shark, which is also due for completion in 2020. This news comes less than a month after the yard announced the sale of the 49.7 metre Project FR038, which is being designed by Luca Dini.